A new cookbook from Seattle author Sara Dickerman helps kitchen novices start to think about ingredients differently, while offering jaded cooks some inspiration, too. 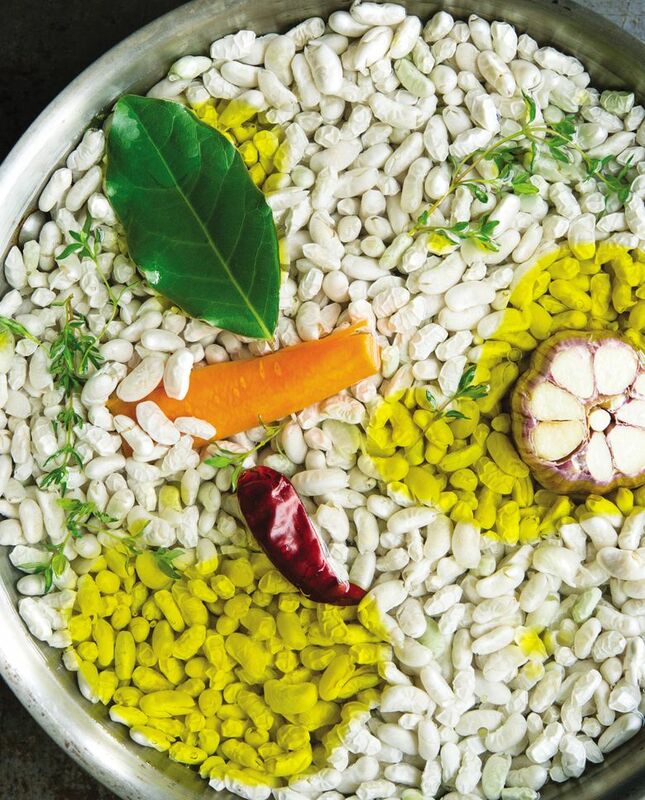 A POT OF BEANS: Cooking doesn’t get much more basic than that. Beans might be cute (especially pretty heirloom varieties), and well-made beans make a tasty, cheap side dish. But that seems to be about the extent of it. What are beans going to teach you? A novice cook can learn a lot from a pot of beans — and while this might sound funny, a more experienced cook can have a lot of fun with one — from Seattle food writer Sara Dickerman’s new “Secrets of Great Second Meals: Flexible Modern Recipes That Value Time and Limit Waste.” Dickerman’s “Lazybones Beans” take four and a half hours (or even overnight) to cook, but only about five minutes to put together. They’ve got a little special stuff thrown in — a chile pepper, a whole head of garlic, herbs — to make them extra-tasty, but they’re basic at heart. It’s where Dickerman goes from there — where she can take you and your beans — that’s interesting. “WHERE TO PUT YOUR BEANS ONCE YOU HAVE COOKED THEM” shouts a section after the recipe. This sounds funny, too, but what follows makes eminent sense: Dickerman says to use your beans lots of different ways, like, “Simply, as a side dish; Soupily, to add heft to a soup or stew … ” I love her neologism “Saladly,” where she says beans would love to be put with “a sharp vinaigrette” and veggies (fresh or cooked), or in a green goddess salad, or a warm bean salad. Some of the beyond-side-dish bean-serving suggestions carry page numbers for specific recipes; some are simple one-liners, like, “Smoothly, blended up with olive oil, lemon juice and garlic” for a hummus-type spread or dip. It’s the kind of holistic, intuitive approach to cooking that can take a long time to develop on your own. It’s also the kind of approach that can use a little renewal — some fresh ideas, new thoughts — if you’re already there. And even an old friend like beans can be inspiring. 3. Taste and season with more salt if necessary. Pluck the thyme sprigs, chile, garlic head and carrot out of the broth, and let the beans cool in their broth. To store, refrigerate beans in their broth in an airtight container after cooling; they keep well for 3 days, or you can freeze them in their liquid. Strain before serving. Note: You can use both the cooking broth and the cloves from the cooked garlic in soups and bean purees. Bethany Jean Clement is The Seattle Times’ food writer. Reach her at bclement@seattletimes.com or 206-464-2050. On Twitter: @BJeanClement.